Featuring a massive edge-to-edge display and high-end internals, the Mi Mix was perhaps the most impressive smartphone that Xiaomi released last year. Things are no different with the newly-announced Mi Mix 2, which uses the same recipe in terms of design and performance, but packs everything in a more manageable package. The Mi Mix 2 makes the transition to a 5.99-inch display with an 18:9 aspect ratio, which is substantially smaller than the 6.4-inch screen used on the original model. The "chin" is also smaller, by 12 percent, says Xiaomi. Overall, the smaller footprint should make it a more attractive proposition in today's market compared to its predecessor. To put it into context, the Mi Mix 2 is slightly larger than the Samsung Galaxy S8 (which has a 5.8-inch display), but smaller than the Galaxy S8+ (which packs a 6.2-inch screen). All have the same aspect ratio. The resolution on the Mi Mix 2 is 2,160 by 1,080. 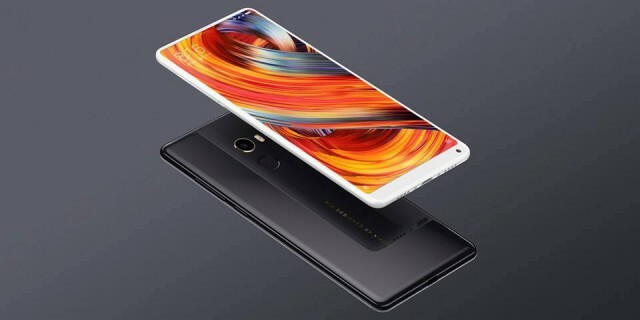 Inside, Xiaomi uses a Qualcomm Snapdragon 835 processor, which is the latest and greatest available from the US chip maker, paired with 6GB of RAM and a 3,400mAh battery with Quick Charge 3.0. There is also a version with 8GB of RAM, that features a white, full ceramic finish. In terms of imaging, Xiaomi says that the Mi Mix 2 packs a 12MP camera on the back, featuring a Sony sensor, with an f/2.0 lens, phase-detection autofocus, HDR, and 4K video recording. On the front, there's a 5MP camera that can record 1080p video. Storage-wise, you will be able to choose between three models, featuring 64GB, 128GB and 256GB of space on offer, for the 6GB of RAM version. The model with 8GB of RAM can only be had with 128GB of storage. Storage is UFS 2.1, which means it should be plenty fast. Something else that you need to know is that it comes with a fingerprint sensor, which is on the back, below the camera, and a USB Type-C port. In the box, there will also be a USB Type-C dongle for audio (presumably, with a 3.5mm jack at the other end). The standard Mi Mix 2 comes in at 151.8 x 75.5 x 7.7 mm and 185g, while the full ceramic model measures 150.5 x 74.6 x 7.7 mm and weighs 187g. The Mi Mix 2 runs MIUI, as you'd expect, but there is no word on the version that ships with this flagship. Xiaomi says that the Mi Mix 2 features "global" 4G LTE support, which, hopefully, means that it will also be available in markets other than China. The only prices Xiaomi revealed are for the 6GB version. The Mi Mix 2 with 128GB of storage comes in at $506, the 128GB version is priced at $552, and, last but not least, the 256GB model can be had for $613. All are estimates based on RMB pricing, and are likely to apply only to the Chinese market. Importing will no doubt add to the cost. There is no word on international availability, but in China the black model is said to be available as of this week.